On behalf of the Hong Kong Judiciary, I extend a warm welcome to all of you to the Opening of the Legal Year. 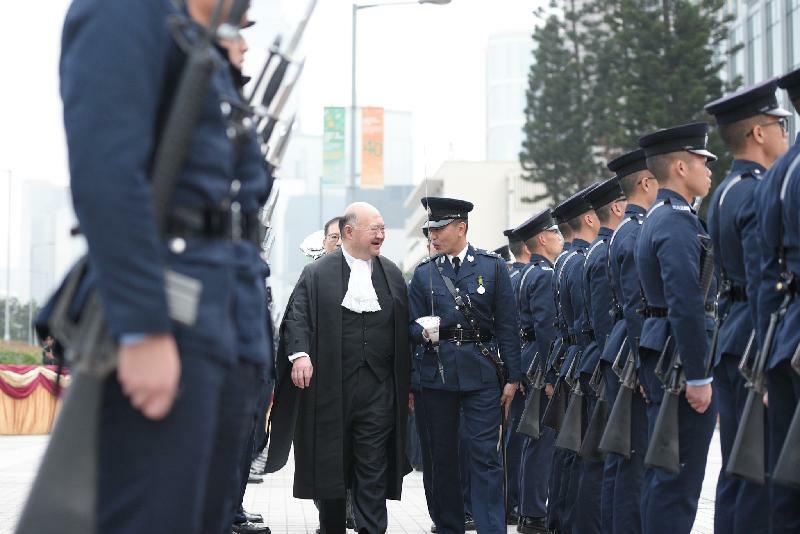 For the Judiciary, the occasion is an important one because it allows me to address the public on matters concerning Hong Kong's legal system. This year I would like to say something about the process of the courts – in other words how cases are handled by the judges and the courts – and also to give an update on the proposed extension of the retirement ages for judges. I also want to say a few words about the proliferation of cases in our courts involving non-refoulement claims. The substantially increased workload on our courts resulting from this type of case has given and will continue to provide much pressure on our courts at all levels. This past year has seen courts at every level adjudicate on controversial cases. By "controversial" I am referring to those cases which emanate from controversial political or social events and over which members of the community have at times vastly different views. Many of such views are polarised seemingly without any common ground. It would be strictly speaking inaccurate to say that courts are caught in the middle when they are called on to handle such types of case. As I have said many times on previous occasions, it is no part of a court's function or duty to adjudicate on political or social issues, nor economic ones, whether siding with one extreme or another, or finding some sort of middle ground to solve the community's political, social or economic concerns. Rather, at all times, the court is concerned with dealing with one aspect and one aspect only: a resolution of the legal issues arising in the dispute before it. This is saying the obvious as far as judges and those who understand the law are concerned, but perhaps not always so obvious to some others in the community. Following some judgments in the type of controversial case to which I have been referring – whether civil or criminal – there have over the past year been criticisms levelled against decisions of the courts and sometimes even personally against judges. Such criticisms have ranged from the abusive, which are totally unacceptable, to imputations of political bias. 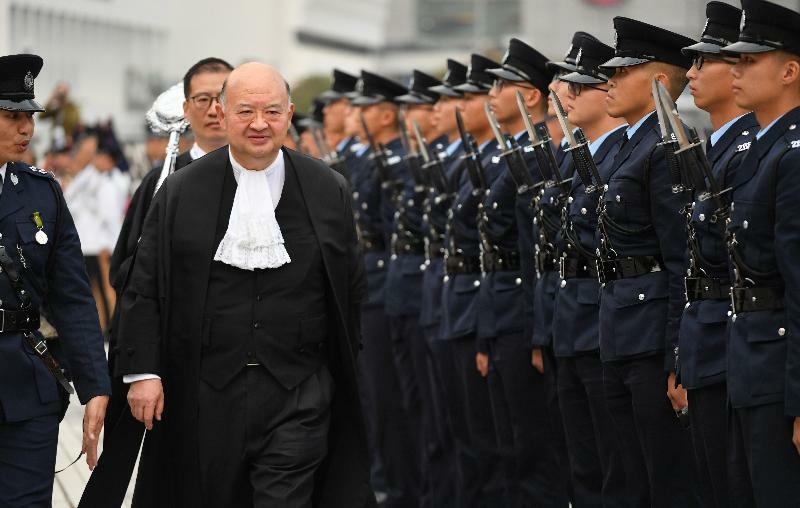 There have even been comments along the lines that the rule of law in Hong Kong has somehow been undermined as a result of certain decisions of the courts, including judgments of the Court of Final Appeal. It is in this context that I regard it as desirable that something should be said about the process of the courts. I make it clear again that I am not saying that there should be no criticism of the courts and judgments; indeed, quite the contrary. Constructive criticism of the courts is always welcome and every person of course has the freedom of speech. Article 27 of the Basic Law guarantees the freedom of speech. However, my point is that criticism, in order to be effective and constructive, must be informed as opposed to being based on misunderstandings or inaccuracies. It is therefore important that everyone should be aware of just how the courts operate and handle cases. This applies to all cases, not only those which are controversial. A number of points need to be made and these embody the very characteristics of Hong Kong's legal system. 1. First, the concept of an independent judiciary. In the discharge of their constitutional duties, judges are independent from any outside interference, and this includes the executive, the legislature and indeed anyone else. 2. This is reflected in the Basic Law, to which I have already referred and which, as the Preamble states expressly, ensures the implementation of the basic policies of the People's Republic of China regarding Hong Kong. Article 2 of the Basic Law states that the National People's Congress authorises Hong Kong to enjoy "independent judicial power, including that of final adjudication". Article 19 repeats this, stating that the HKSAR (Hong Kong Special Administrative Region) is to be "vested with independent judicial power, including that of final adjudication". Article 85 is clear in stating that Hong Kong courts "shall exercise judicial power independently, free from any interference". 3. The independence of judges is also reflected in the Judicial Oath. This Oath is a solemn and sincere undertaking by every judge to uphold the Basic Law and to serve the HKSAR and administer justice "without fear or favour, self‑interest or deceit". This oath is required to be taken under Article 104 of the Basic Law. 4. The necessity for an independent judiciary is self‑evident. When the rights of individuals are sought to be enforced against others, and particularly where the executive is involved, there can be no question of the courts being in any way partial towards anyone. The scales of justice are held evenly: they are not tilted in favour of or against any one when a legal dispute is being determined. This is perhaps another way of emphasising the second point I wish to make: equality before the law. The statue of justice in Hong Kong - Themis at the top of the Court of Final Appeal Building - not only holds the scales of justice evenly, she is blindfolded. The courts which decide the disputes before them are not pre‑disposed in favour of or against any of the parties. The Basic Law requires in Article 25 that all Hong Kong residents "shall be equal before the law". Article 41 states that other persons shall enjoy the same rights and freedoms set out earlier, including Article 25. Everyone is entitled to equal treatment under the law, no one is above it. This is the essence of fairness and justice. The guarantee of equality exists not only in the Basic Law. Article 1 of the Hong Kong Bill of Rights, contained in the Hong Kong Bill of Rights Ordinance Cap. 383, refers to the entitlement to rights without distinction. Article 10 states in terms that "all persons shall be equal before the courts and tribunals". The Bill of Rights is the embodiment in statute form of the provisions of the International Covenant on Civil and Political Rights (ICCPR). Article 39 of the Basic Law states that this Convention, as applied to Hong Kong, must be implemented in our laws. The ICCPR is an international instrument adopted by the General Assembly of the United Nations on December 19, 1966 and has 172 parties to it. Thirdly, in determining the outcome of cases, courts will look only to the legal issues involved; in other words, it is the law that governs the result in any legal dispute before the courts. Even where a case has political, social or economic ramifications, it is only the law that will be considered by the courts. This is what is meant by the exercise of judicial power when that term is used in those three articles of the Basic Law referred to earlier. The Judicial Oath also requires judges to serve Hong Kong "conscientiously, dutifully, in full accordance with the law". "It is important to state at the outset of this judgment that it is not the role or function of the courts of the HKSAR to enter into this or any other political debate. Instead, the duty of the courts is, through an independent judiciary, to administer the law of the HKSAR, including the Basic Law, and to adjudicate on the legal issues raised in any case according to the law. In reaching a decision in any given case, a court exclusively applies the applicable legal principles to the relevant facts and thereby reaches a decision on the appropriate disposition of the case, explaining its reasons in its judgment. That is the sole task of this Court in these appeals." Fourthly, no system of law is complete without a proper appellate structure. We have in Hong Kong what is known as a two-tier appellate system. Appeals from the Magistrates' Courts first go to the Court of First Instance and then to the Court of Final Appeal. Appeals from the District Court go to the Court of Appeal and then to the Court of Final Appeal. Appeals from the Court of First Instance go to the Court of Appeal and then to the Court of Final Appeal. The apex of the court structure is the Court of Final Appeal, in which is vested, according to Article 82 of the Basic Law, the "power of final adjudication". 1. Court proceedings at every level are open to the public to observe apart from a few special situations that require a closed hearing such as matters involving children.The openness of court proceedings includes those controversial cases I have earlier referred to. Such cases are also widely reported by the press. 2. The reasoning of the courts in arriving at their decisions, in the form of written judgments, is open for the public to read. The judgments of the court reveal in great detail the precise steps taken by the court to reach its conclusion in any case. Whenever any member of the public asks the question "Why has the court made the decision it has? ", there is a ready and comprehensive answer to this question in the form of the written judgment. There is simply no need to speculate or guess just what was behind a court's decision on any matter, much less assert that the judge might have taken into account factors extraneous to the law, such as political factors. Naturally, one can choose not to read a court's judgment, but if one is to make a meaningful and informed comment about a court's decision, it would surely be advisable as a starting point to learn just what were the reasons for the decision in the first place. 3. The written judgments of our courts are readily accessible whether in hard or soft form. Save in exceptional situations, they are available on the Judiciary's website. I have now dealt with five important facets of Hong Kong's legal system. The purpose of this exercise is to provide the necessary context within which to enable everyone properly to appraise and comment on the work of the courts, in particular those decisions of the courts on matters which greatly concern the community. We live in a complex society and a complex world in which people constantly and critically question the validity of decisions which affect them. Sometimes these decisions may not be easy to grasp. And when reasonable points of view of different people pull in opposite directions, the need to understand matters in proper context becomes even more pronounced. I cannot emphasise enough the necessity of having the community's confidence in what we do. 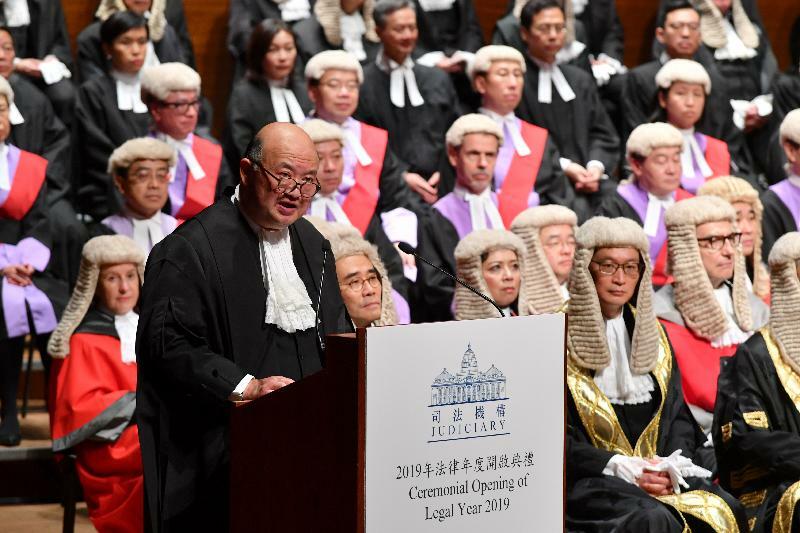 The significance of this lies of course not just in understanding that what the Judiciary does is of considerable relevance to the community, but more important it demonstrates the existence of the rule of law in operation in Hong Kong. There are perhaps few things that are more important to Hong Kong than our rule of law, and this is a feature of our community we must strive to maintain. As I mentioned at the outset when I assumed office over 8 years ago, this is my mission as Chief Justice. As the Judiciary prepares to face challenges this coming year, it is vital that the quality of judges remains high. Although we have a judiciary that is much respected – this has been the strong impression I have gained from the exchanges I have had with judges from other jurisdictions including the Mainland, the United Kingdom, Australia, New Zealand, Canada, Singapore and the USA – the maintenance of high standards is key to the proper administration of justice. I have earlier mentioned the confidence which I hope the community has in our legal system. This confidence is shared outside Hong Kong. One indication of this is the volume of cases dealt with in our courts. By world standards, the workload of Hong Kong judges is among the heaviest and the most complex. Many persons choose to litigate in the Hong Kong courts precisely because they have confidence in our legal system. What I have just said underlines the necessity of having the best quality judges in the Hong Kong Judiciary. I have in the past given details of measures we have implemented to try to attract the best candidates to join the Judiciary. One of the means to attract candidates of sufficiently high judicial and professional qualities - the criteria stipulated in Article 92 of the Basic Law - is to extend the retirement ages of judges at all levels of court. As I mentioned last year, Hong Kong has unrealistically low retirement ages for judges by comparison with other common law jurisdictions. There is little doubt that an extension of retirement ages will greatly assist in both the recruitment of judges and also the retention of experienced judges. The proposed extension of retirement ages has widespread support from the Government, legislators and both branches of the legal profession. This support is to be welcomed and I am grateful for it. Of course, legislative amendments have to be made and the drafting exercise has reached an advanced stage. I sincerely hope that all necessary legislation will be passed and made effective by the middle of the year. This is very much in the public interest and for the good of the community. The final matter I wish to touch upon this evening is related to the heavy caseload I have earlier mentioned. Particularly in recent years, Hong Kong has seen an influx of persons who have made non‑refoulement claims, commonly known as torture claims. Hong Kong is subject to the Convention Against Torture and Other Cruel, Inhuman or Degrading Treatment or Punishment, commonly known as the Convention Against Torture or CAT. When a person claims that there are substantial grounds for believing that he or she would be in danger of being subjected to torture or risk of cruel, inhuman or degrading treatment or punishment, persecution, etc, in another place, no party subject to the CAT can repatriate that person to that place. In recent years, the Government has had to deal with a very large number of such non‑refoulement claims. The process of dealing with such claims frequently involves the following: after the Immigration Department has processed an application, if an applicant is dissatisfied with the result, he or she may launch an administrative appeal to the Torture Claims Appeal Board. In the event that the Board rejects the appeal, what has turned out to be the usual course is then to seek relief by way of an application for leave to apply for judicial review to the Court of First Instance. If this is refused, the decision is then appealed to the Court of Appeal and from there, to the Court of Final Appeal. The volume of cases dealt with by the Court of First Instance and the Court of Appeal is high and this has resulted in much pressure put on these courts. The pressure is also felt in the Court of Final Appeal. All cases are carefully considered at each level of court, and as a result delays are perhaps inevitable. Additional resources will naturally be required but this alone cannot solve all the problems. For example, more judges will be needed and this is not just a matter of financial resources. Further, the deployment of manpower and resources to dealing with non‑refoulement claims will certainly have an adverse impact on how we deal with other cases and other judicial work. The Judiciary will be liaising with the Department of Justice with a view to exploring the possibility of introducing modest legislative amendments so as to facilitate a more efficient handling of such torture claims. Relevant stakeholders will of course be consulted. I hope that we can count again on the support of everyone. I end this year's speech with an assurance to the community that all our judges at all levels are totally committed to those ideals I have endeavoured to articulate. Each is committed to the rule of law and to serving the community. Service to the community is a key element in the Judicial Oath and every judge abides by this solemn promise. I wish all of you and your families a fulfilling 2019 and happiness in the coming Year of the Pig. Note: Secretary for Justice v Wong Chi Fung (2018) 21 HKCFAR 35, at para. 5.